Recently, just-style published their ‘Outlook 2019’. Industry executives were asked what keeps them awake at night and other issues the apparel sector should be keeping a close eye on in the year ahead. Not surprisingly, increased levels of uncertainty and ambiguity are top of the agenda, with the real winners in 2019 and beyond likely to be those industry leaders (and companies) who are willing to evolve and adapt to rapidly changing consumer needs, and emerging opportunities. 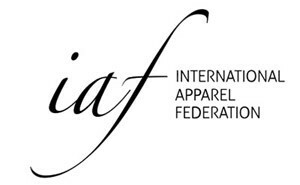 On behalf of the International Apparel Federation (IAF), Matthijs Crietee answered a set of questions. We present a short summary. Another major challenge for the industry is to communicate its achievements, particularly in terms of sustainability, to start rebuilding trust. A number of industry initiatives are delivering, but consumers are still largely in the dark. 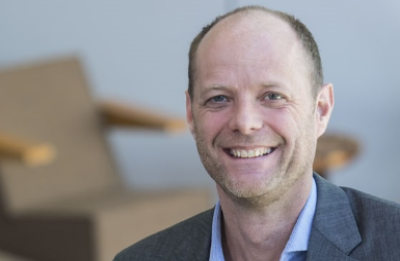 Trust is also an issue within the supply chain, where real or perceived bad purchasing practices clash with brands or retailers’ CSR department’s good intentions. The IAF, with a membership of most major industry associations in all continents, will take a larger role in 2019, bringing together in dialogue players from across the supply chain, buyers and manufacturers, large and small. Trust building is hard work, but it is what this industry needs very badly, both internally and externally. Sourcing has a geographical and an organizational component. Geographically, China continues to be dominant, in a number of ways. Despite an unstoppable decrease of its garment manufacturing market share, it is still by far the largest exporter and dominates many product categories. But the absolute size of the business moving out of China has a big positive effect on the industry in other Asian and Africa countries. And increasingly, the industry development in these countries is at least partly powered by Chinese investments, directly into the industry or in the supporting infrastructure. Organizational sourcing changes deserve at least as much attention. We think overall, in spite of risk based diversification, consolidation of sourcing bases will continue to grow. In addition, the relative advantage of large manufacturers with new machines and software, advanced mid management and a pool of suppliers it can control is growing. So, some big, successful manufacturers are set to become yet more dominant players in 2019. Existing players in the industry are vulnerable to outsiders using technology to bypass old systems and introduce new business models. It remains to be seen in what way and to what extent power relations in the supply chain will be reshaped by new entrants, and particularly by the giant online sales platforms, in 2019. And of course, the combined uncertainty of the US – China trade war and Brexit will cast a big shadow over 2019. A no deal Brexit is an economic experiment that no industry wants to undergo. It’s not all bad, the threat of new US trade barriers on China does create short term winners. But on the longer run uncertainty associated with trade wars will act as a factor pushing the industry again to a more footloose industry, where it is not about improving production but only about moving production. For the global apparel industry therefore ultimately trade wars are always bad.